Homeowners find a variety of ways to restore and improve their homes. Some ways to renovate and improve their homes could be something as simple as chimney cleaning and repair or replacing a cracked driveway. Here are several ways that you can improve your home. What is one of the first steps to improving your home? When you purchase your home, aesthetic beauty often travails over function. Yet one feature that homeowners continue to love is a beautiful fireplace. One way that you can affordably add value to your home is by chimney cleaning and maintenance. If your chimney is starting to look worn, has cracks and loose bricks, or has a high amount of soot and buildup, it is time to have your chimney professionally inspected and repaired. Surprisingly enough, many times only minor repairs and maintenance will restore your chimney and fireplace to its former glory. This is ideal if you are looking to sell your home in the future or just want to enjoy the warmth and elegance of a luxurious fireplace. A professional service will inspect the entire chimney, from inside the home all the way through the flue to the crown. They will assess what damage may exist from water damage, critters, and weather. Have professionals look at your chimney at least once or twice a year, preferably before the winter months when the fireplace will be in regular use. Another easy step to improve the overall curb appeal of your home affordably is by repairing the driveway and landscaping. Professional landscaping, while relatively inexpensive when compared to most major home repairs, can impress visitors and potential buyers. The first impression means everything. So maintain your landscape and driveway regularly. Older homes have natural wear and tear. 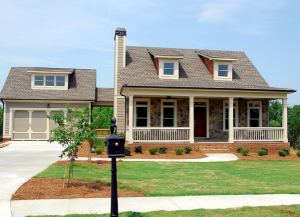 Sometimes a brick home may have loose bricks or a foundation may have cracks. Looking into the benefits of masonry repair can improve the overall look of your home and improve insulation while providing extra much-needed protection against water and weather damage. Maintain your home for a lifetime. Speak to a professional today about how you can improve your home in a few simple steps.